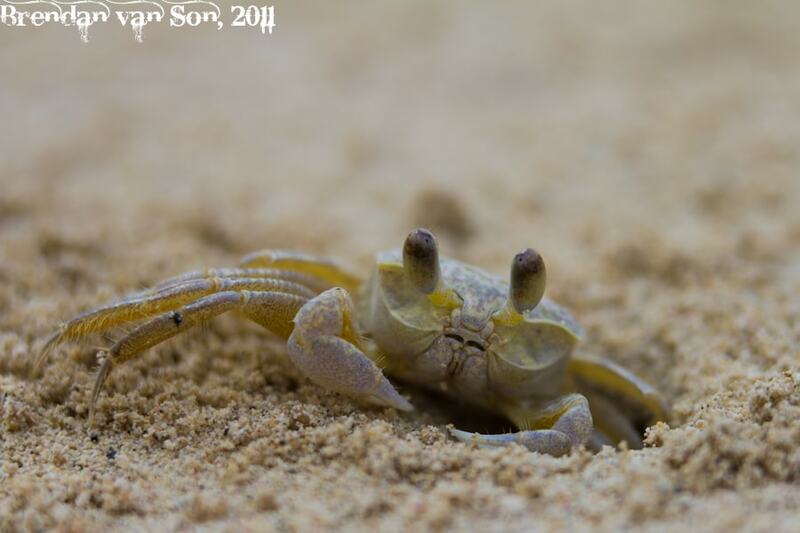 I could sit on the beach for hours photographing crabs. They are so entertaining to watch, as the bob up from their holes and race across the sand to a new destination. They are so busy, but also so nervous. As a kid, I remember sitting on the beach and watching a crabs dive into a hole and then trying to dive in after them, digging as fast as I could. Of course I could never catch one, but I certainly had fun trying. On the beach in Jamaica I took a different approach to capturing the crab, this time I tried to get it on film. I sat in the middle of a few busy holes in the sand and waited for them to come to me; an approach that was much more successful than my childhood strategy of attack. This photo was shot on my Canon 60d with my 70-200mm f/4 lens. However, the true trick to the shot was that I added a small extension tube to my camera. There is a good explanation on how extension tubes work here so I wont bore you with the details. But basically, they allow your camera lens to get closer to the subject while still focusing. The trick to this shot had nothing to do with the technical side and everything to do with the preparation and patience side of photography. I watched this crab pop up from its hole and then scoot back down a couple of times so I was sure it would do it again. I set up my camera to focus on the hole, focused my lens to a spot just above the hole and waiting until it came up for a look. I got a number of great shots of this crab, but this one is my favourite since you can really see character in its face. I shot this photo at 97mm, f/4, 1/320 seconds and with the ISO at 100. That is a fantastic photo!! !